1. Install the SpaceLite. (Contact us to know the closest place to get your SplaceLite). 2. 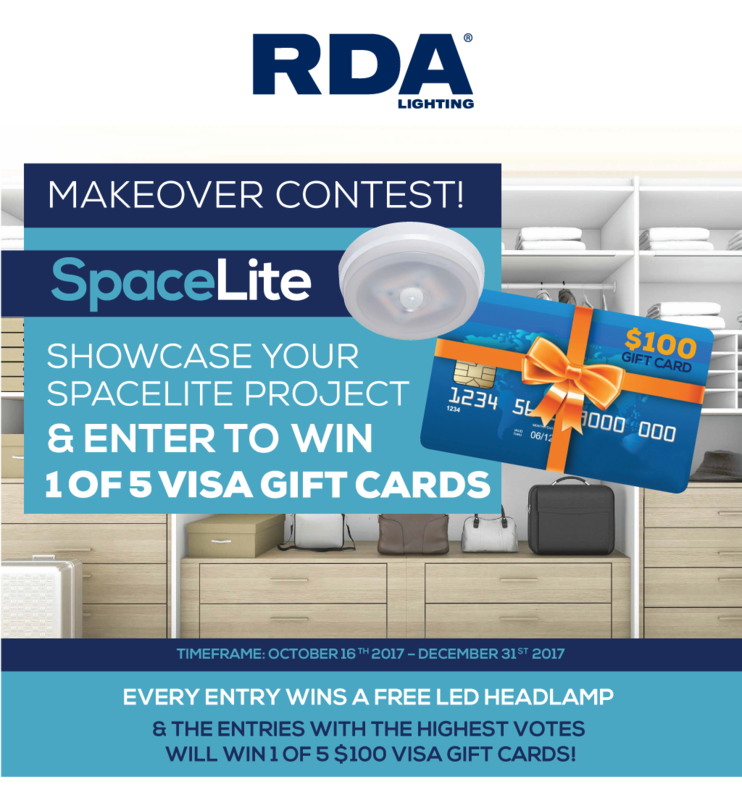 Take a photo of the closet or storage space after you have installed the SpaceLite. 3. Upload the photo, plus a brief description of the makeover. 4. Complete and submit the entry form, include your name, address, email so we can send you the free headlamp. 5. Want more chances to win? Share it on social media and get your friends and family to vote for your photo! The top 5 entries with the highest votes will win $100 VISA gift cards. VOTE FOR YOUR FAVORITE PHOTO BY CLICKING ON THE MIDDLE BLUE BOX! Copyright 2017 RDA Lighting Inc.